Mortgages aren’t simple. There are many types of them and they each offer different advantages to those that are looking for one. Purchasing a home is one of the largest investments that you will ever make during your lifetime. It is ideal to make sure that you make this investment carefully and to the best of your ability. One thing about them that you will want to understand is whether you should go with an adjustable or a fixed type of loan. The differences may seem confusing, but they are very important nonetheless. When considering a mortgage, you may first want to consider such things as the interest rates and the terms of the loan. Yet, there are other elements to think about as well. Once you find the lender that is offering you the best rates out there, look at what types of rates he may be able to provide you with. Here’s a breakdown. Any mortgage that has a fixed rate is one that has an interest rate that is not going to change. It will remain the same today as it will be down the road and throughout the course of the loan. It can be ideal to use this type of mortgage in most cases. It is especially helpful when interest rates are tending to slide up the scale. If you get a loan that is fixed while rates are climbing, then you will be secured into that low rate throughout the course of your loan, no matter what other rates do. 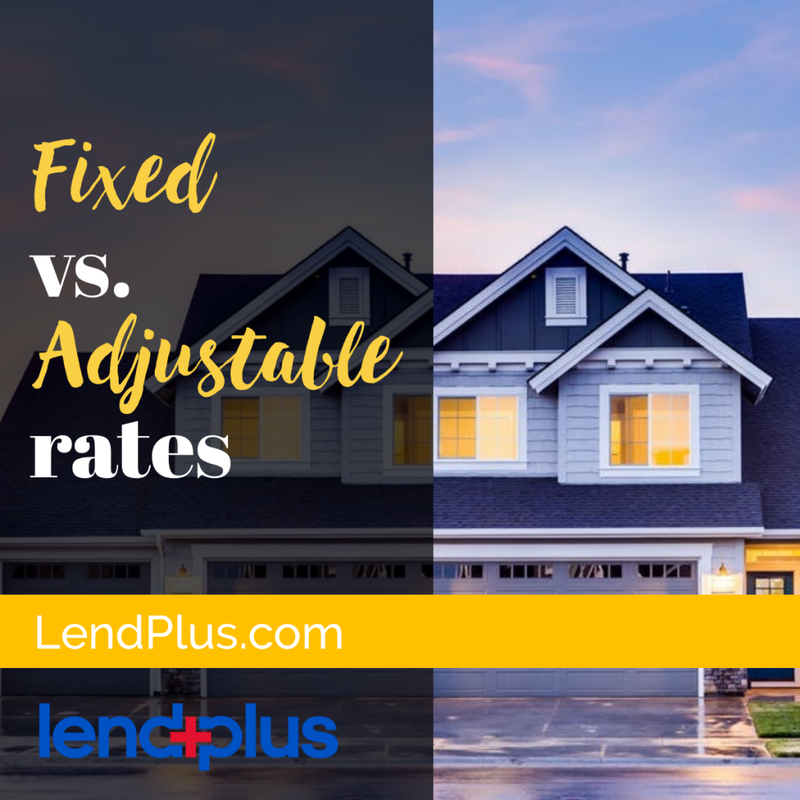 In most cases, the fixed rate will be slightly higher than that of an adjustable but in the long run, it may save you money. There are also many reasons why you may decide that an adjustable will work well for you. Besides being less expensive in the long term, they are also ideal for when interest rates are high and are falling. When interest rates are higher, securing an adjustable rate loan will allow you to take advantage of the slipping that they are doing. These are ever changing rates though, so if the rates tend to climb, you may be in trouble. One thing to note about them, though, is that they are generally not going to fluctuate up or down more than the cap of the terms of your mortgage. Adjustable rate mortgages come in different terms, some are as low as 1-year fixed term and can be as high as a 10 year. This means for the initial year or whatever your terms are, typically 1, 3, 5,7 and 10 years, your mortgage rate will be fixed. Then after the initial period is up it could adjust up or down depending on the market. If you plan to refinance or move before the initial term is up then an adjustable rate mortgage might make more sense. Carefully consider this option in a mortgage. Choosing an adjustable could mean a lower interest rate and being able to pay more towards your principal balance. If you’re considering purchasing or refinancing your home, then speak with a licensed mortgage banker to discuss your options. A licensed mortgage banker can show you what you qualify for and show which options make the most sense for your unique situation!